January 9th is Law Enforcement Appreciation Day. But it started off with the killing of Orlando Police officer Master Sgt Debra Clayton as she was attempting to contact a murder suspect in the parking lot of a local Walmart. The officer arrived at around 07:17 a.m.. Two minutes later police received a call that she had been shot. A manhunt is underway for Markeith Loyd, 41, who was reportedly wearing a security uniform and vest. On top of the loss of MSgt Clyton was the death of an Orange County Deputy, who was on his motorcycle actively looking for Loyd. A driver rammed into the bike he was riding. He was transported to the hospital, but succumbed to his injuries. The deputy’s name has not yet been released. A $60,000 reward was posted for information leading to the arrest of Loyd. Schools in the area are all on lockdown as police search for the suspect. He is considered armed and dangerous. 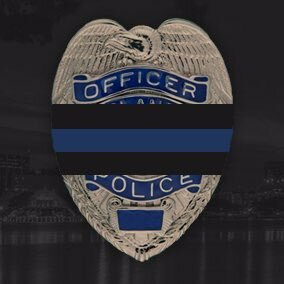 BREAKING: Sheriff: Deputy sheriff killed in motorcycle crash while searching for man who shot and killed Orlando police officer. Can’t these so-called activists see it? They are blinded by their hate. This was a veteran black officer who had been on the force for 17 years — shot and killed by a black man who was wanted for killing a pregnant woman. She leaves behind a husband and 2 children. Where are the protests for her life? Where is the sorrow for the deputy who died trying to find this thug? The Orlando Police and Orange County Deputies are grief stricken, but they continue to work to keep their communities safe. Our outgoing leadership stands with thugs. The BLM stands with thugs. It is past time for that garbage to change.